I had a really long day at school and didn’t get home until 6:15pm! That is late for me! I was happy that I got a great morning workout in this morning. I did weights and then went to 45 minutes of spinning class. It was a much needed workout after tons of baking and drinking wine all weekend! I have another big workout planned for morning, unless we get a snow delay…..cross your fingers for me! 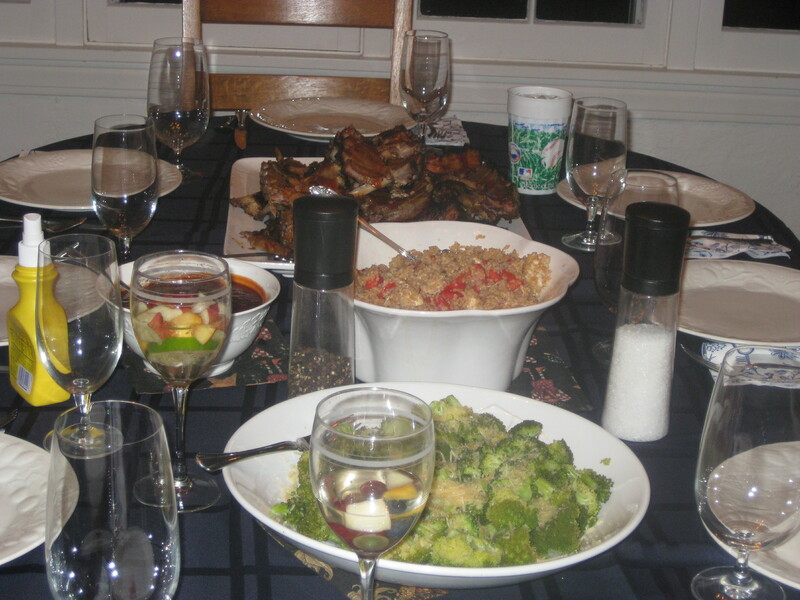 So when I finally got home, I threw together a great meal for both of us! After we ate, we worked on Christmas cards, baked bread for neighbors and friends and watched Step Brothers – for the first time. It was funny, but I was not really in the mood. I would have much rather watched Miracle on 34th St. or Elf. Oh well! Cook the bulgar as directed. Bake at 400 for 20 min. 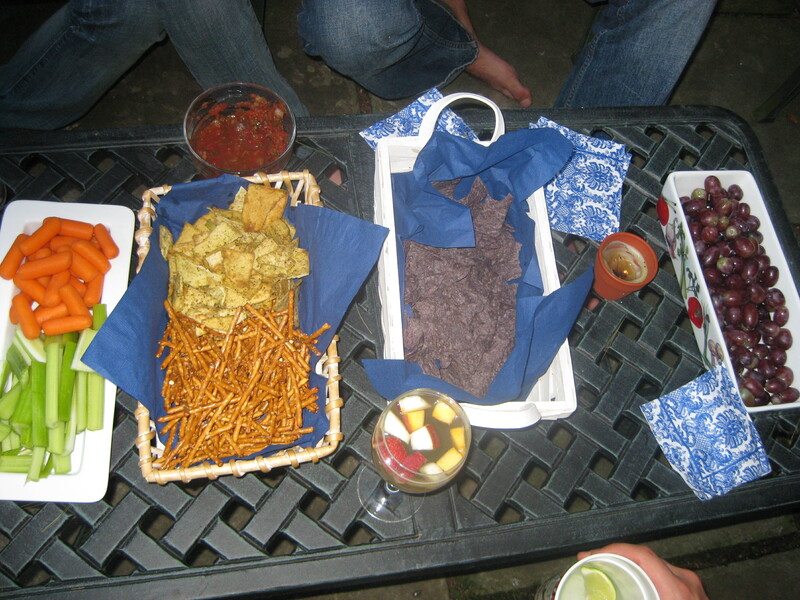 We liked them a little crunchy, not soggy. I will be making this dinner again! Both of us loved it, it was easy, healthy and filling! I would make this for company too! cheering Brady on at his soccer game!! 2.5 days of school with kids until break!! Saturday night, Brady and I went to my parents to hang out with them, my brother and his girlfriend and my cousin and her husband. As always, the food was amazing! My mom always makes healthy, fresh and colorful food! 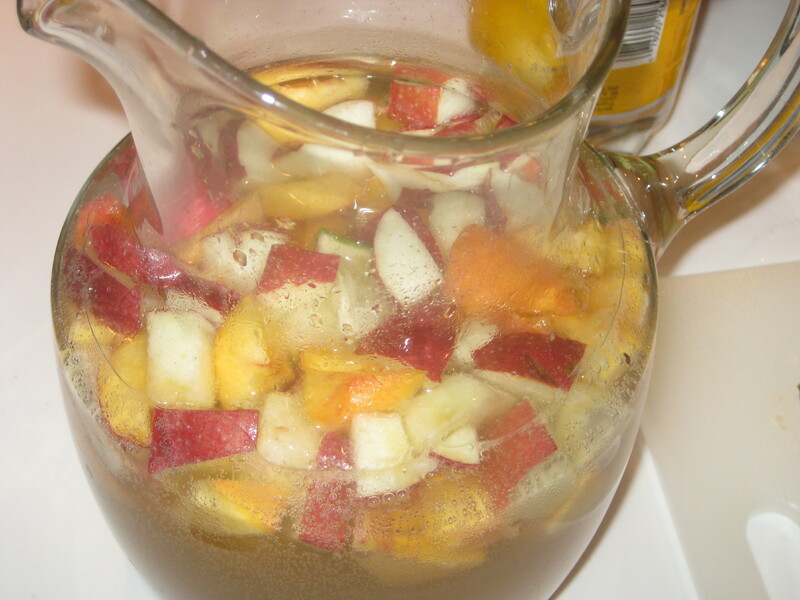 Lindsey, my brothers gf, and I started the night by making a pitcher of sangria. This one pitcher turned into four by the end of the night. It was soo good that we could not stop drinking it (I am still feeling it tonight :). 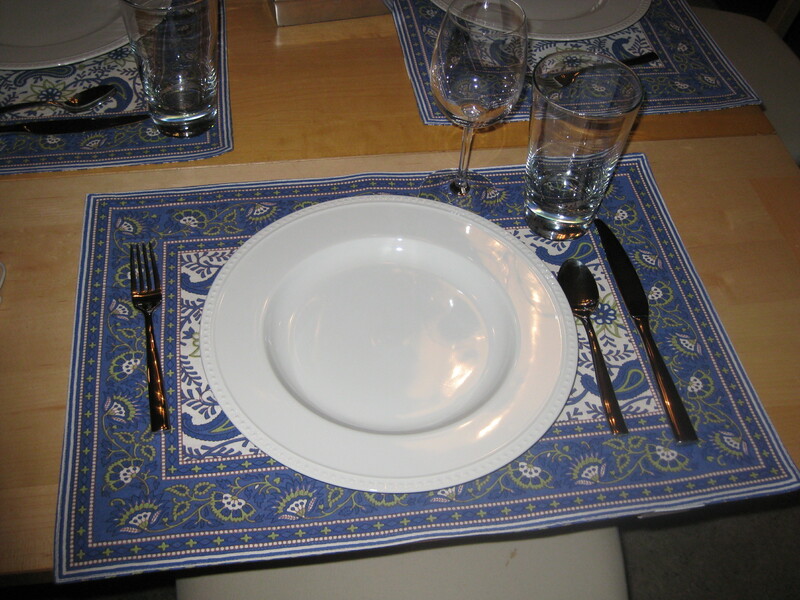 Notice the cute napkins, now you can see where I got my obsession with fun napkins! Sorry for the missing post yesterday, I was busy until my head hit the pillow! 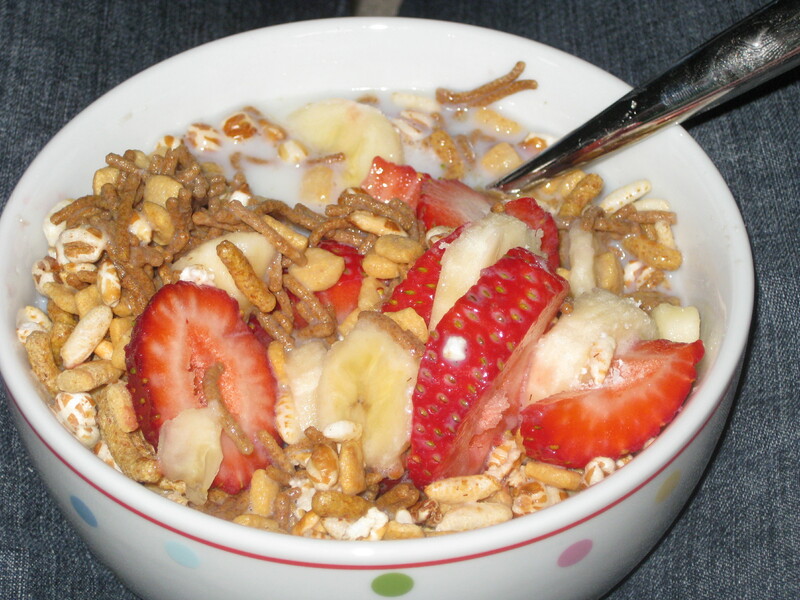 I started the day with a big bowl of fiber cereal with tons of fruit. For lunch I made a veggie sandwich with hummus on sprouted wheat bread. I missed the pic because I was inhaling it before running outside for recess duty. I forgot to take my usual 3pm snack to school and I came home really hungry. I had a PB Larabar to hold me over until our dinner guests arrived! I also hit the elliptical for quick 30 min. exercise fix. It wasn’t a great workout, but it wasn’t bad and it made me feel better. 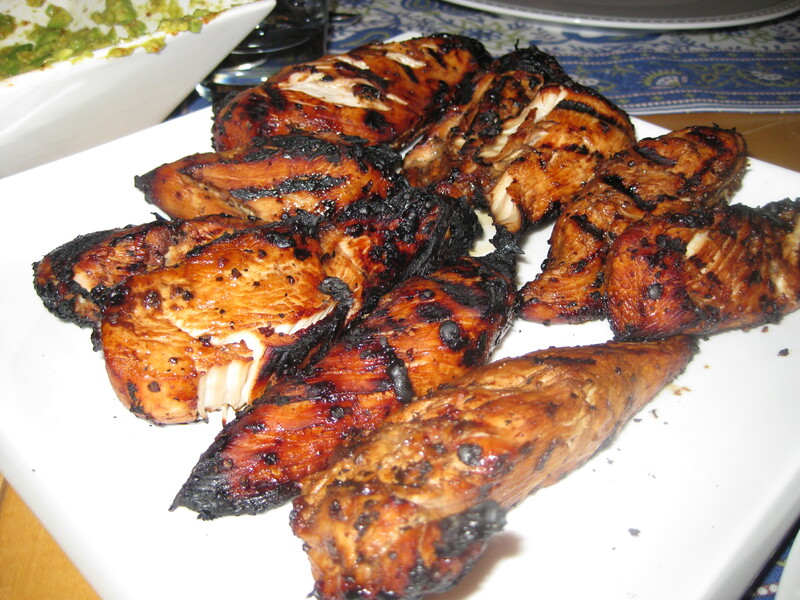 Dinner was grilled chicken marinated in Trader Joe’s Black Pepper sauce. The sauce was ok, not one of my favorites. 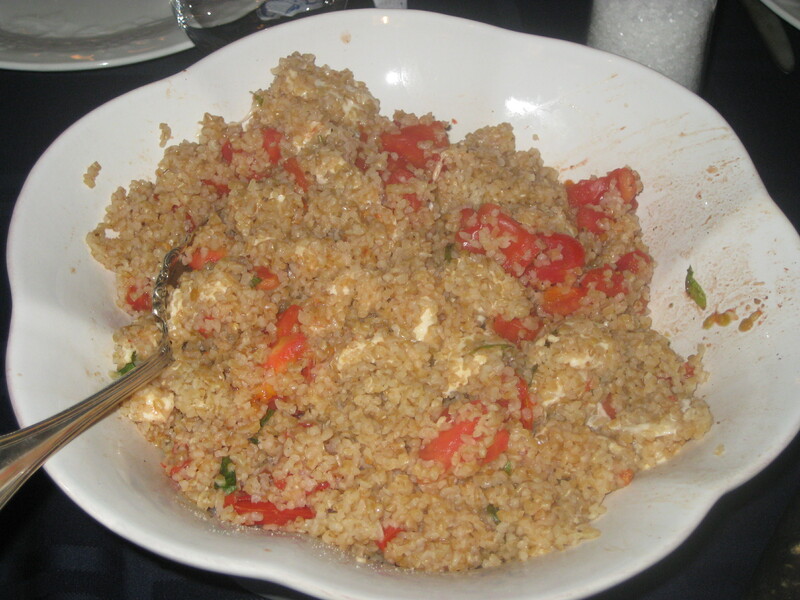 We served the chicken with the tomato-mozzarella wheat bulgar salad I made last weekend. Brady was not here to try it last weekend, and Ash is a frequent blogland reader and wanted to try the bulgar too. 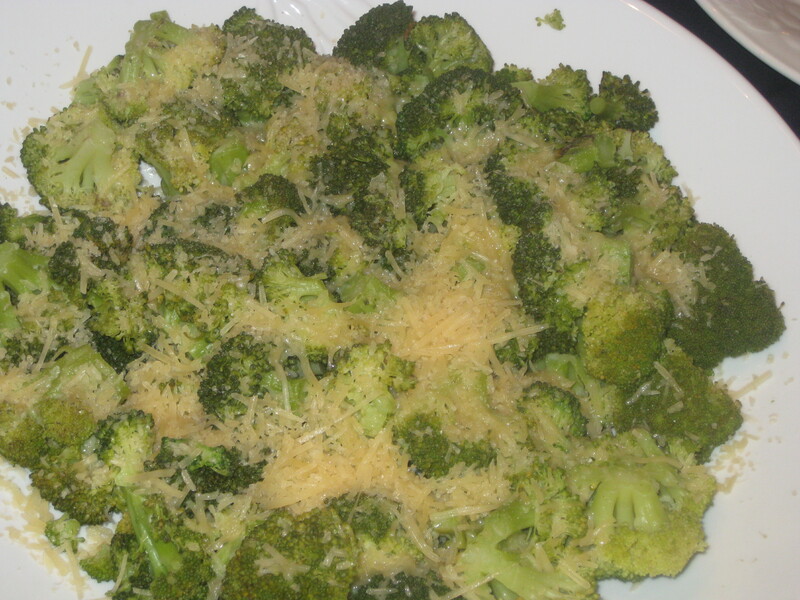 I have to say, I really enjoy this simple dish! It’s chewy and natural tasting but has great flavor! 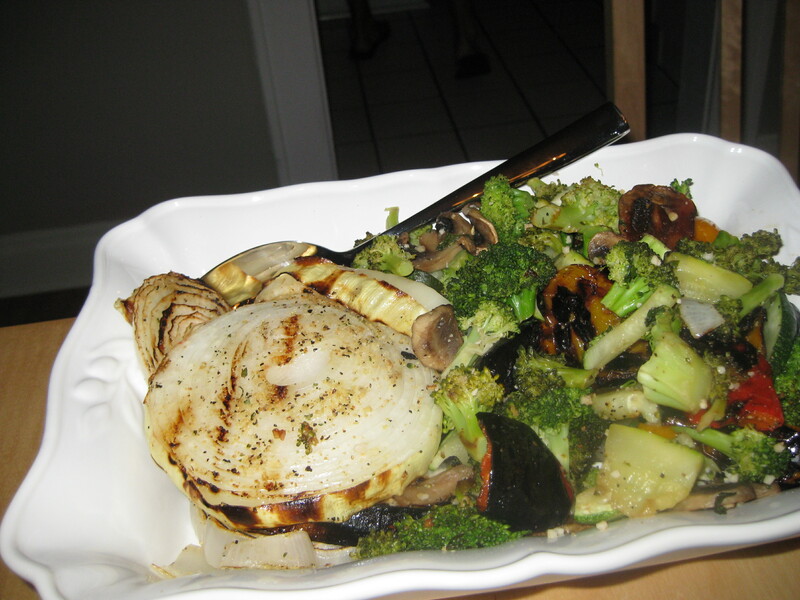 We also had tons of grilled veggies! For dessert, Ash brought a frozen yogurt I had not tried: Edy’s Berry Granola Fro Yo. It was wonderful! We added tons of fruit to our bowls, plus AB and sugar-free choc. syrup! I ate it so fast, there was not time for a picture, whoops!! Mix all veggies with spices, olive oil, vinegar, and salt and pepper. Repeat the same with the chicken. Mix all fresh ingredients into hot bulgar. Add extra salt and pepper as needed. 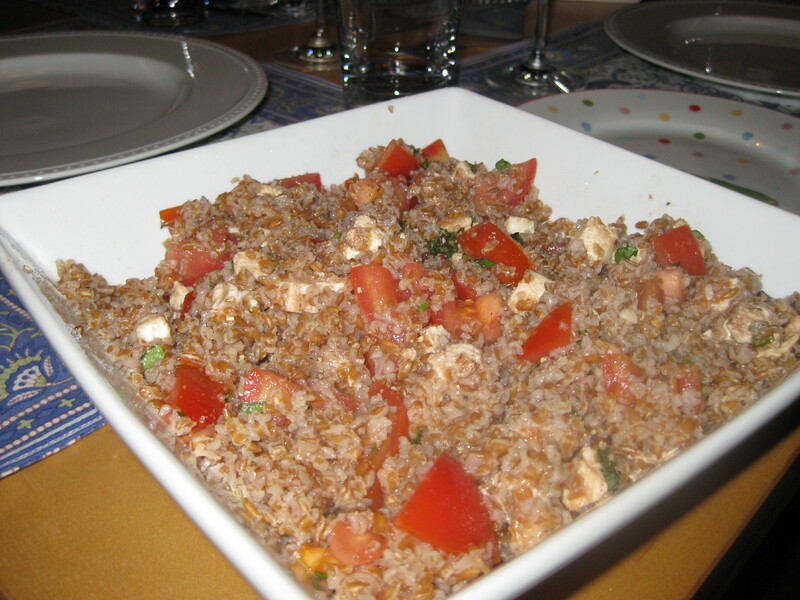 The cheese will melt a little with the hot bulgar, making the dish stick together.